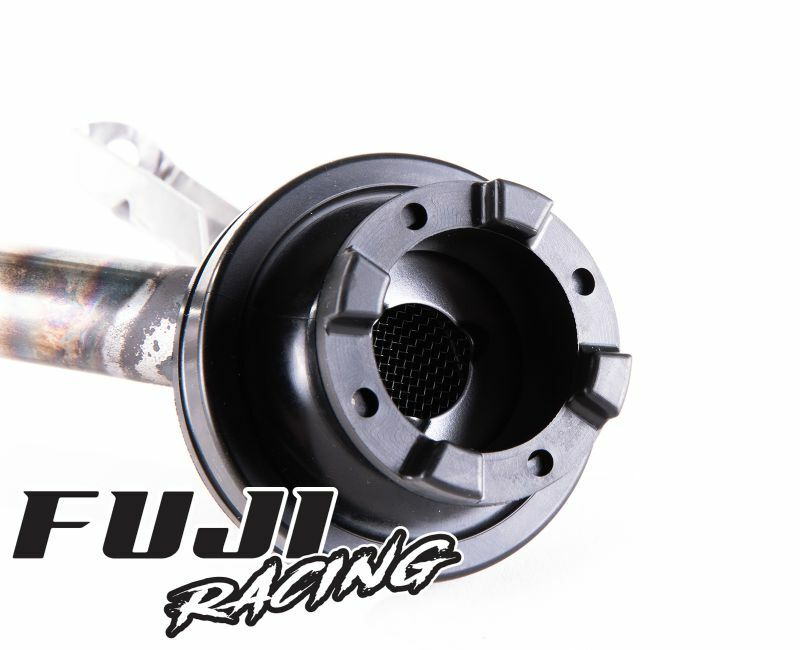 Our Castle head oil pick up adapters are the perfect addition for use with the genuine Subaru and FUJI Racing oil pick up pipes. 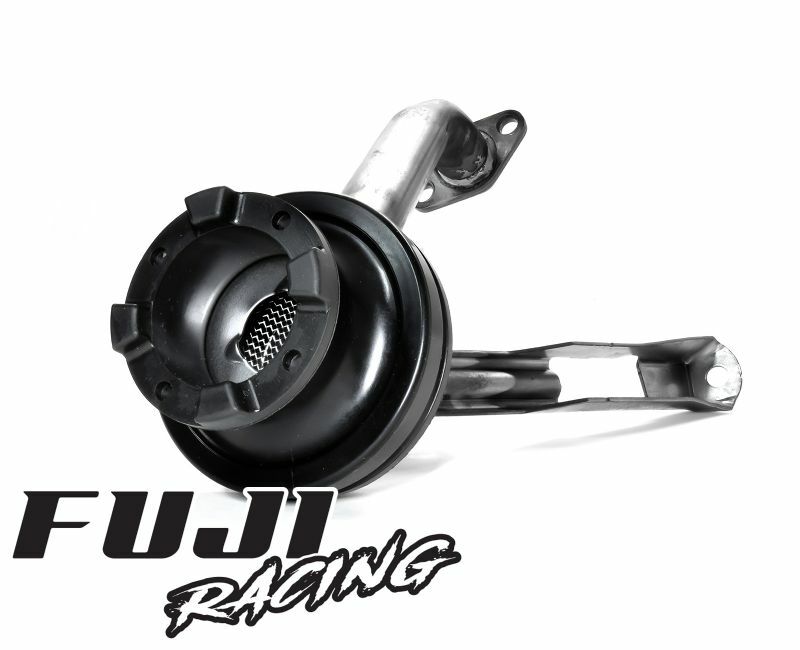 The purpose of the castle head adapter is to lower the pickup point of oil in the sump pan, helping to reduce the possibility of the pickup pipe "running dry" under hard or prolonged cornering. With the Subaru EJ engines being horizontally opposed, oil has a tendency to escape out of the oil sump pan and run into the cylinder heads under prolonged or sharp cornering, therefore it's vital to improve the oil pickup system to help mitigate oil starvation risks. 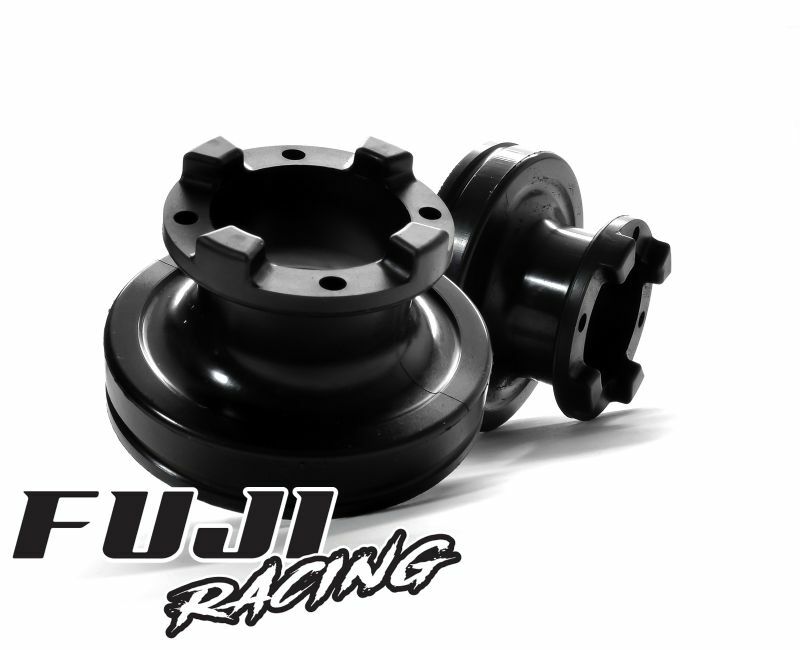 In addition, Fuji Racing castle adapters also protect against oil starvation due to a damaged sump. Occurring mostly in rally vehicles, should the sump obtain damage from a heavy landing the base can flatten which can press the inside surface against the mouth of the OEM pick up pipe. In turn this limits the volume of oil the pick up pipe can pull from the base of the sump which can then lead to devastating engine failure. 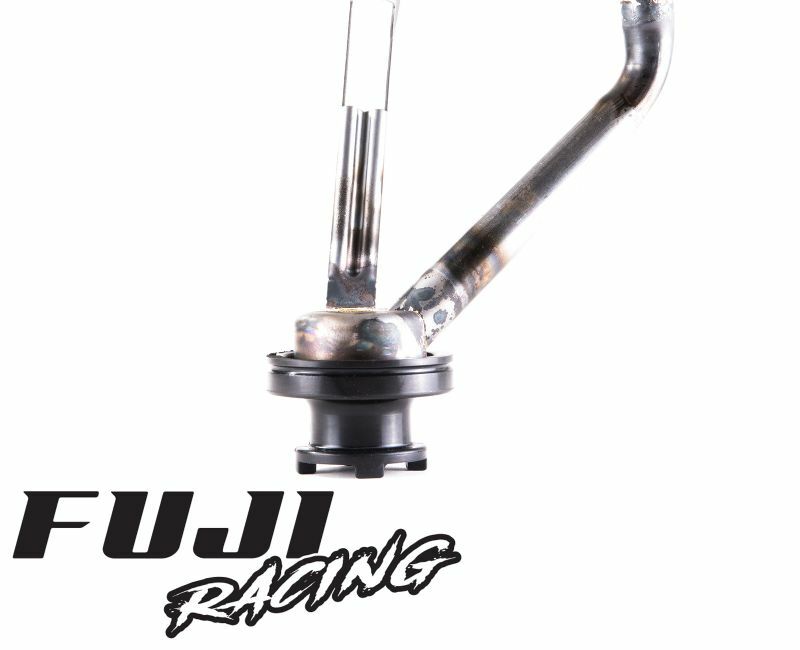 The issue of oil surge on the Subaru flat four engine layout is well known and the Fuji Racing anti surge adaptor up is another simple yet very effective way to help protect your engine against potential damage during spirited driving. The cushioning of the adaptor can also help to prevent cracking or fracture of the brazing on the pickup pipe. The castellation shape visible on our adapter is produced from steel and encased in rubber and can reduce in size as much as an inch, whilst still allowing adequate oil flow through the castle openings. 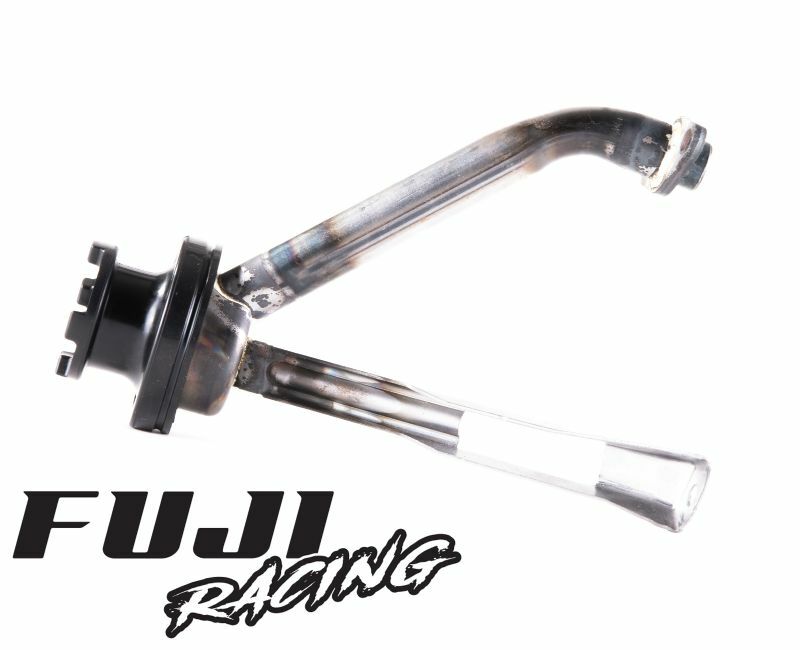 The FUJI castle adapter will both EJ20 and EJ25 OEM pick up pipes and can be installed quickly and easily once the sump is removed. The adapter pushes over the ridge of the standard pick up pipe (or FUJI pick up pipe) and is then lock wired in place to ensure it will not move from its desired position. You will need lock wire and pliers to help with the installation, however, we advise purchasing lock wire pliers for the best possible pressure on the wire band.